Office 365 users will never have to worry about storage limits again. 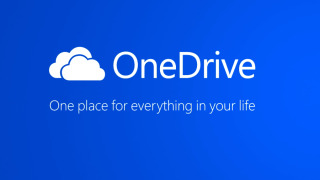 Microsoft will now offer unlimited storage for OneDrive and OneDrive for Business users that subscribe to Office 365. Microsoft will begin rolling out the limitless cloud storage option to all Office 365 Home, Personal, and University customers starting today. You can register to be put on a waiting list as the new option rolls out to the mass market during the next several months. This is a major coup for Windows and Lumia phone users. Now, you can snap as many photographs as you like, upload them to OneDrive and never have to worry about running out of space. iCloud users receive 5GB of free storage, up to 20GB of storage space for $0.99 per month (about £0.61, AU$1.12), and 1TB of space for $19.99 per month (about £12.40, AU$22.69). To put that into perspective, you can hold about 2,325 iPhone pics in your iCloud storage if you store nothing else. After that you'll have to pay a buck a month. Google offers 15GB of free storage or approximately 6,975 photos. 100 GB of Google storage will run you $1.99 (about £1.23, AU$2.26) and 1TB of storage will cost $9.99 (about £6.20, AU$11.34). Of course, all of this free storage requires a subscription to Office 365, which isn't free. Office 365 business plans start at $5 per month (about £3.10, AU$5.68). Office 365 for personal use starts at $6.99 per month (about £4.33, AU$7.94). Microsoft has been steadily lowering cloud storage prices for the past year. In June, it increased OneDrive storage plans from 7GB to 15GB. In addition, all versions of Office 365 were given 1TB of OneDrive storage per user for no additional cost. Last month, OneDrive began supporting the uploading of files up to 10GB from Windows and Mac desktop apps. This brought the service up to Dropbox's industry leading capacity and surpassed Google Drive's 5GB upload limit.